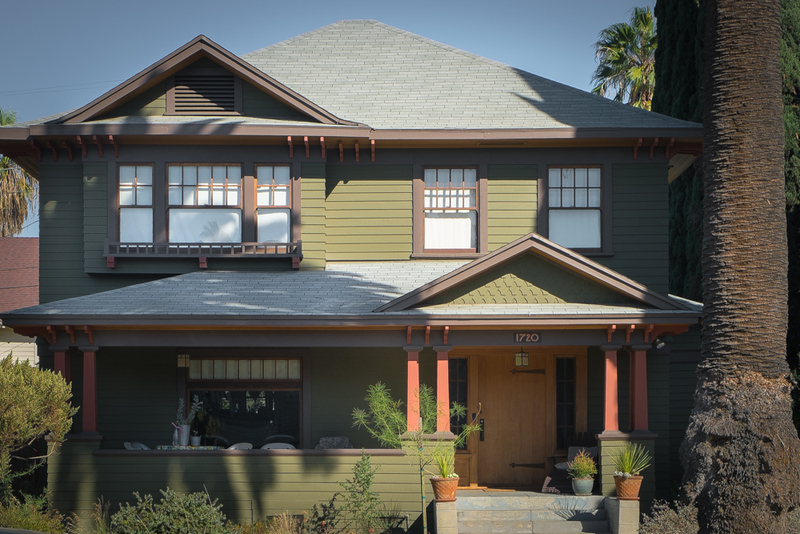 We end the Harvard Heights Chapter with this beautifully proportioned 1906 craftsman. The interior has been fully restored, (on ongoing weekend project for the owners for many years). Above and below we have clearer view of the home's striking fireplace. 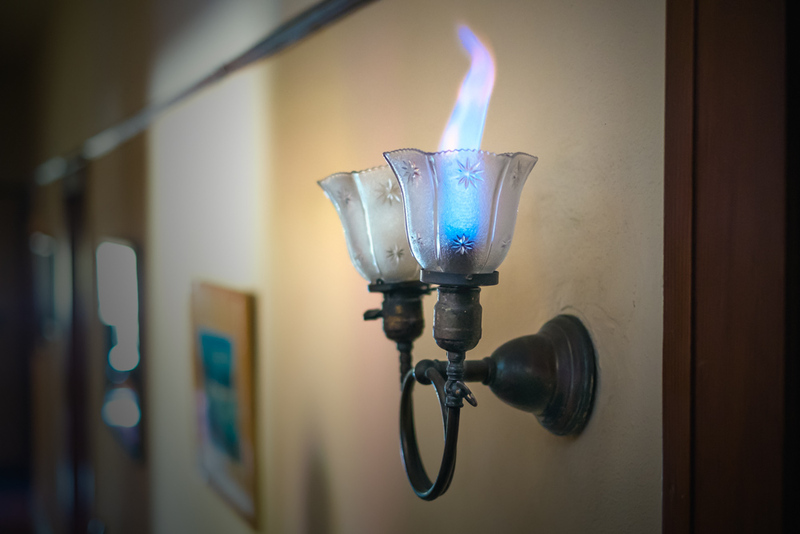 The last photo of the chapter is below; still-working gaslight! As we near the end of the Harvard Heights Chapter wanted to include more of the vivacious homes of the neighborhood, (see an earlier gallery of homes here and check out the interior of some Craftsmans here and here). As a bonus here's a shot of Harvard Heights' Saint Sophia Greek Orthodox Cathedral. Go to the Cathedral's website to see some of its magnificent interior. In the photo above you see a few folks enjoying themselves in the middle of the Harvard Heights Home and Wine Tour. I found the whole affair quite civilizing; who doesn't want to meander through beautiful homes in West Adams, a class of wine in hand, under the Southern California evening sun? Another shot of the tour is including in the book; see the 'screen grab' from the iBook Introduction below. 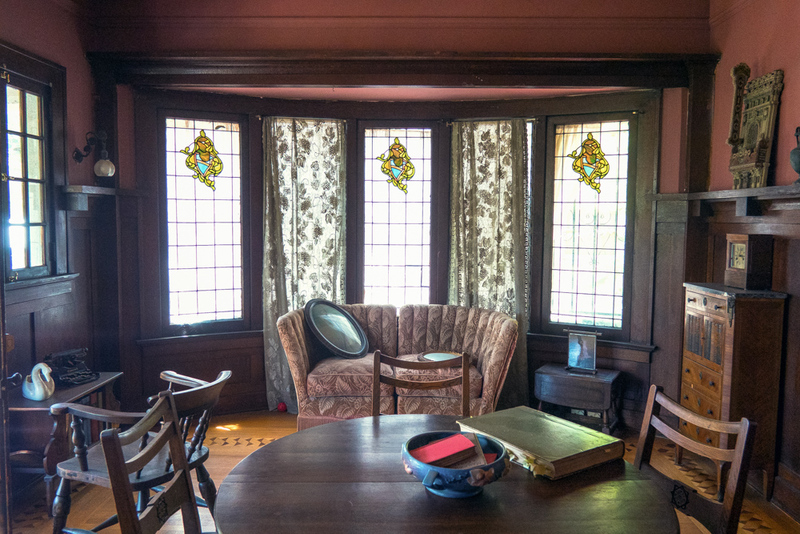 Today's shot from Harvard Heights: light through an eight-foot-by-eight-foot stained glass window in illuminates the Wilson House, a 1911 Craftsman. 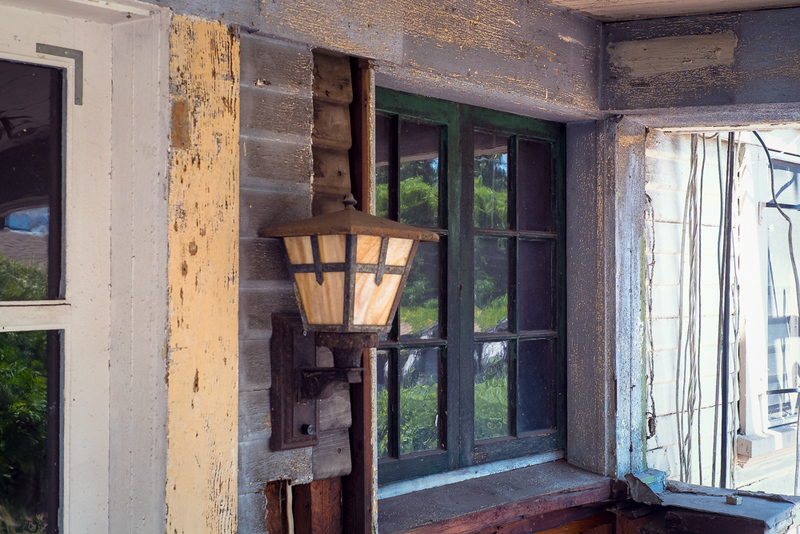 On Pages 251-252 of the Book, (Harvard Heights Chapter), we see this 1907 Craftsman currently undergoing a restoration. It was bought by the current occupants in 1984. In the photo below you can see the home as it was in the 1980's. 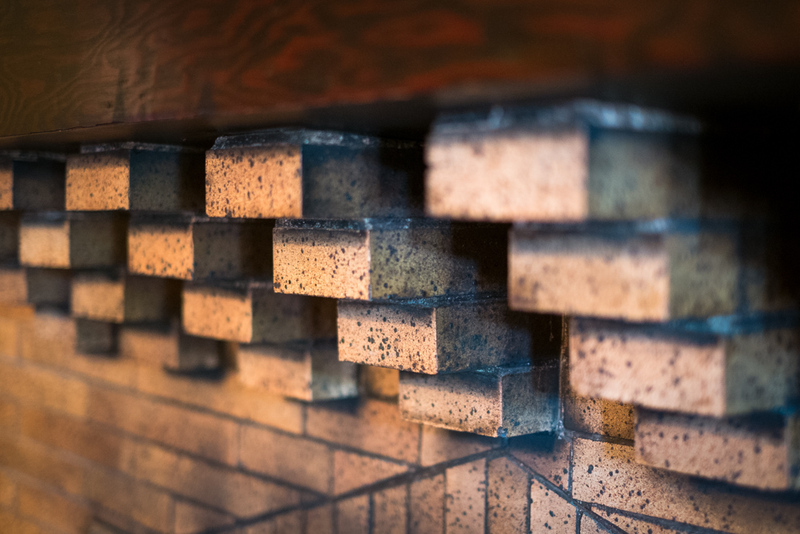 Distinctive brickwork with a hand-crafted aesthetic is a hallmark of the home. Am especially fond of the chimney seen on the photo on the right! 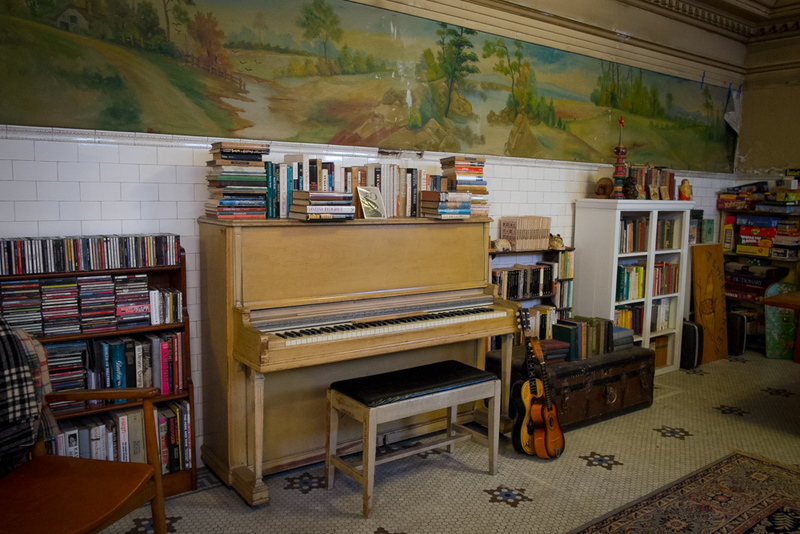 Throughout the iBook I mix in the people of West Adams along with the extraordinary homes. 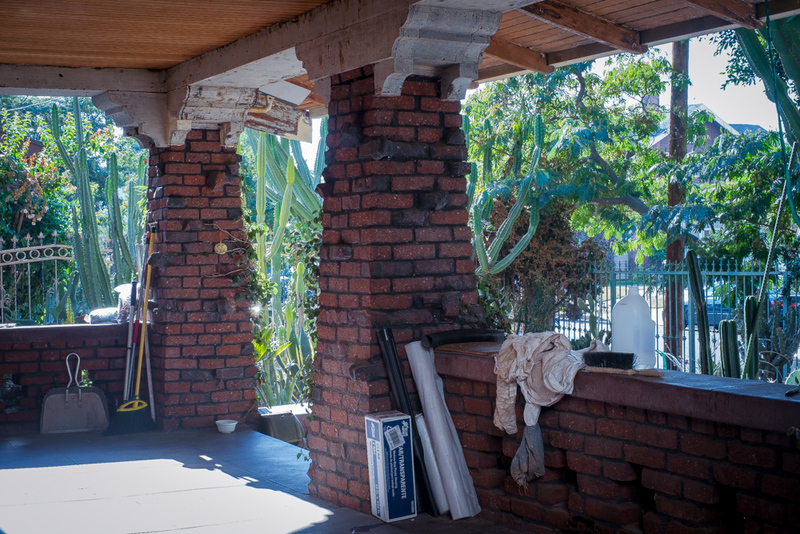 Here we've got a shot of folks relaxing on the porch of Synchronicity, a communal home in Harvard Heights. 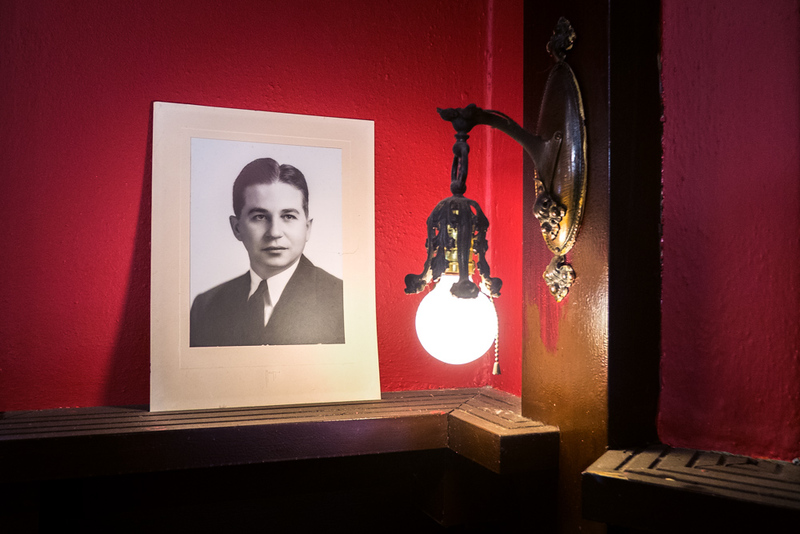 In the Harvard Heights Chapter, pages 242-249, we have the Henry Jensen home. Built in 1909 by LA movie theatre magnate Jensen the home is a collision of styles; note the paired classical columns and closed second story porch in the photo above. 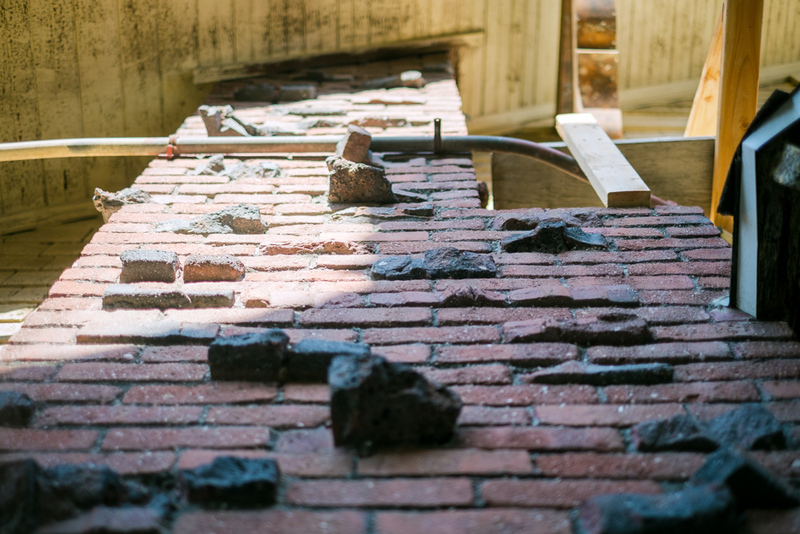 Opening the front door we see one of the Jensen's many brick fireplaces amongst other things. 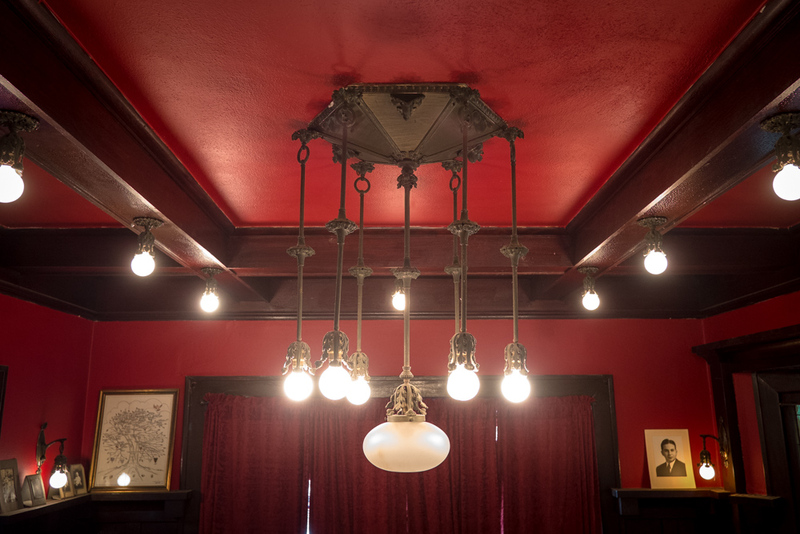 Original fixtures can be found in every room. We descend towards the home's unique basement with hits hand-painted tapestried walls and elegant tiles. 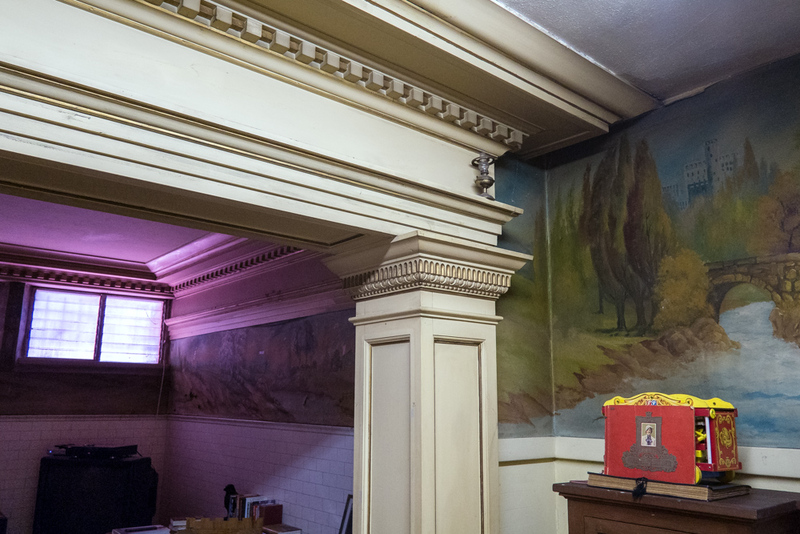 Other aspects of the Jensen: a sitting room just off the main living room; you'll find original stained glass throughout the home.